I am a frequent reader of the Publicity Hound’s blog and newsletter. Joan Stewart is one of the top experts for generating publicity whether you are running a startup or a private corporation. 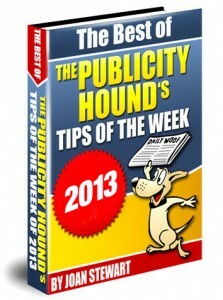 Stewart is offering The Best of the Publicity Hound’s Tips of the Week 2013 on her website as a free ebook that I highly recommend. She includes many tools that help public relations professionals save time and money such as the social media image maker that helps you resize images for all types of social media accounts. She also gives out valuable tips that are hard to find elsewhere. The tips she shares are hidden gems that PR pros would usually pay money to acquire. As you begin your PR planning for 2014, make sure you have this handy guide as it will save you loads of time, resources and money for your next campaign! 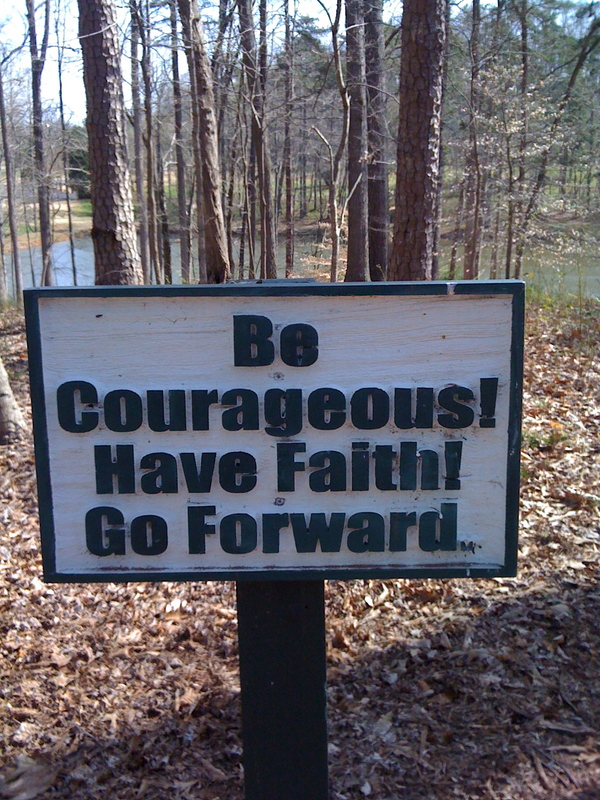 Getting the word out about your latest company news whether it is a new product announcement or customer win is tough. If you don’t have a marketing or public relations department in-house, use a freelancer or outside agency, the task can be daunting. Where do you begin? First, make sure what you are going to announce is newsworthy. Write your press release with all of the key components of who, what, when, where, how and why included in the first paragraph. This way if it is edited, all of your important news is included. Once you have a release that is ready to go out, set up an account on Pitch Engine. It is free and you can create and distribute compelling social media press releases online. It even appears on Google News when it is posted. What is a social media release? It is simply your press release with relevant links to graphics, video, web site links, etc. It offers a wealth of information for those interested in finding out more about your company. You should also have a targeted media list of relevant contacts in your industry and for local, regional and business news, if relevant. Building your list is an ongoing project and if you don’t have a subscription to a database like Vocus or Bacon’s, you can still build it from going to media web sites and finding the journalist that covers your particular industry. Be sure to read a few articles to make sure they are the right person to contact. Once you have this list, also send a short pitch with bullet points and a link to your Pitch Engine press release. Include your contact information as well and don’t include attachments. When writing your pitch, think from the perspective of the journalist and ideally, their readers – “What’s in it for me? Why should I care about this?” To learn more about pitching, check out the Good Pitch Blog, Bad Pitch Blog and see an example of a great pitch on Peter Shankman’s Help A Reporter web site. You can also post your press release on a blog, include keywords as tags and then go to Technorati and claim your blog. This helps when people search your industry keywords. WordPress offers free blogs and a neat dashboard feature to track web traffic. Set up a free Twitter account and find and follow people in your industry. Listen and engage in conversation – not to sell but to be part of the community. Offer expert advice and links to relevant industry news. LinkedIn also has a question and answer section where you can help people with relevant questions in your industry. If you want to take it a step further and try to pitch journalists looking for story sources, subscribe to Help A Reporter (HARO) a free PR newsletter, and look for relevant queries. There are strict rules and if someone pitches off topic, you will be removed from the list. And that is a great start into the world of public relations. Small steps. It is also a doorway into social media – the best way to learn it is to try it. One step at a time. You might like it! I was thinking about small businesses and how they are especially hit hard in a down economy. I wanted to post some tips that you can do for free that will help continue your business building efforts even in a recession. 1) Get local with search. – Make sure your company is listed in Google and Yahoo local directories. They are free and you can even link to your web site. 2) Get local in business/service directories – with directories like Angie’s List and CitySearch popping up, be sure your company is listed in the relevant local directories. Be sure to ask customers to write a recommendation for your company as well. 3) Build a local media list at smaller newspapers and start a relationship. Offer advice, take a reporter to lunch. Local media is easier to reach and if you are doing neat things with the community, be sure they know about it. Having an event for charity? Send a media advisory. 4) Remember your employees. PR isn’t all about outside relations – make sure your employees are motivated and happy. You can reward them with small things like praise (employee of the month/quarter), pizza in the office for a job well done, etc. 5) Discover social media. Start a blog on WordPress and talk about your industry, not just the company. Give tips, advice, general observations. Sign up for Twitter, a microblogging site, and follow people that interest you and join the conversation. Create an account in LinkedIn and Facebook and reconnect with old friends and colleagues. You can even ask business questions in LinkedIn and answer others’ questions and be seen as an expert in your field. 6) Okay, I said five but here’s a bonus tip. Sign up for Help A Reporter.com‘s newsletter and get PR queries from journalists looking for sources. But be sure if you answer, that your pitch is on target, short and sweet and do not send attachments. Include contact info in your email and links if needed.